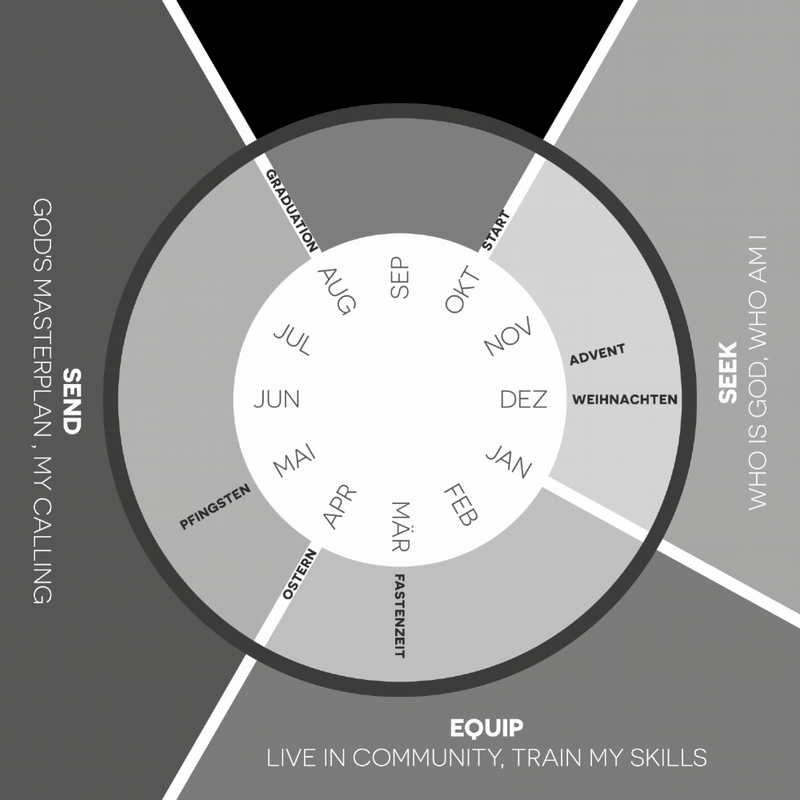 The year is built up in three phases: Seek, Equip and Send. The tuition for an MC year, from October until August, costs 6400 CHF for Swiss applicants and 6600 for foreign applicants. The extra cost is due to the registration process for foreign residency in Switzerland. Alternatively, the program can be paid as 700 CHF per month. We will go to different countries all over Europe. In Spring for 2 weeks and Summer for 4-5 weeks. There is an additional cost of 2500-3000 CHF for the outreaches. We want to provide a good insight into jahu community and a good and healthy surrounding for personal development. During 10 months the students live in host families of co-workers of the jahu community. The host families provide food and housing at no costs. As a little thank you the students help with the housekeeping. Host families are an essential part of the Master's Commission.